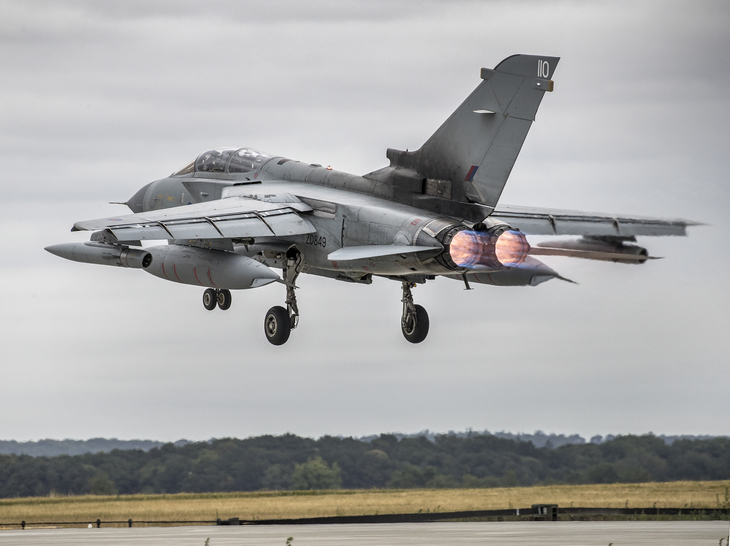 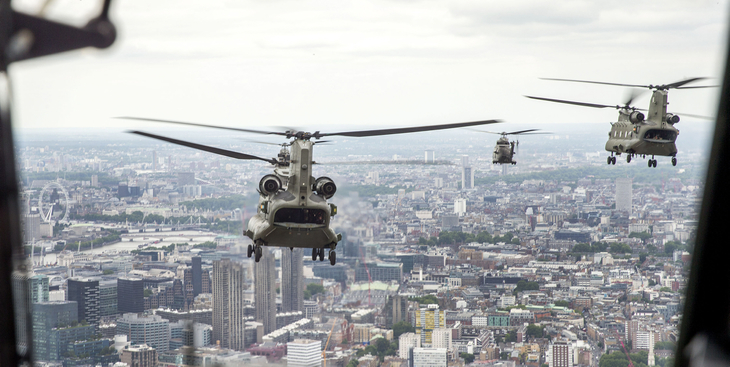 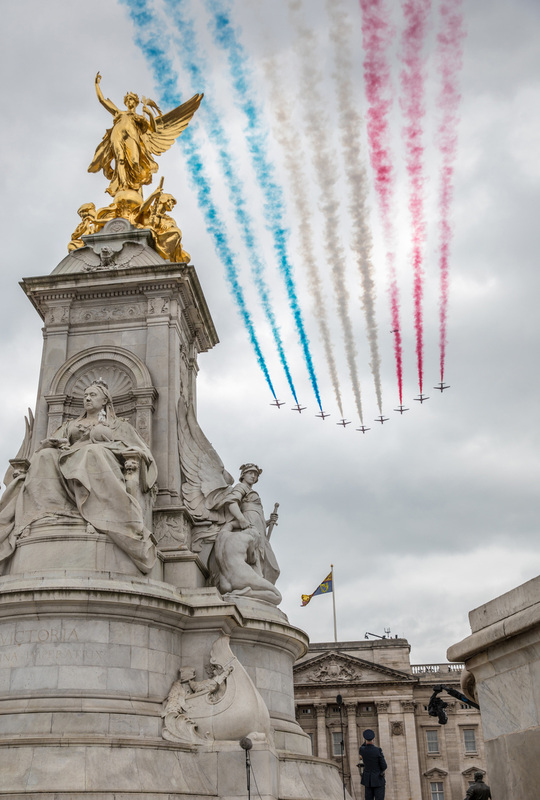 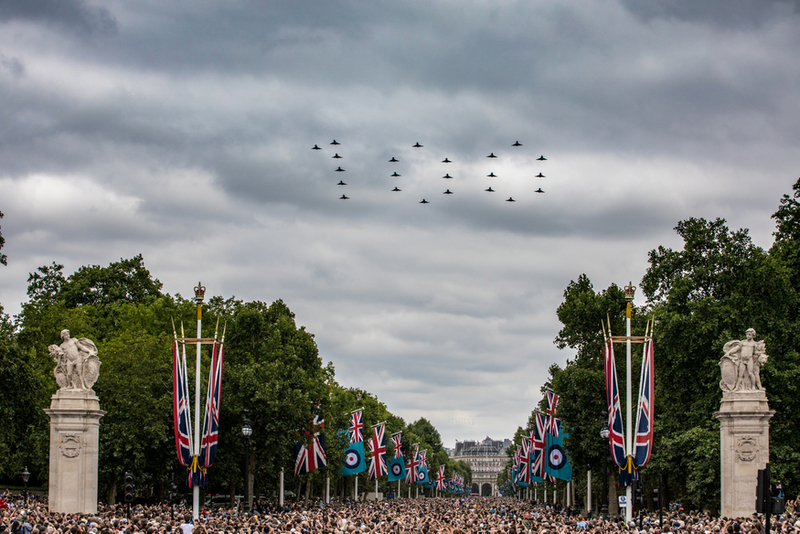 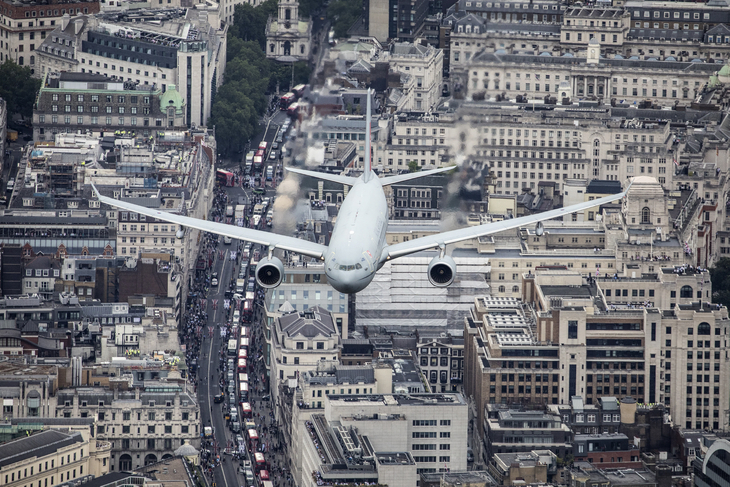 100 days ago (1 April) was the RAF's 100th birthday, so today it celebrated with an epic flypast over London. 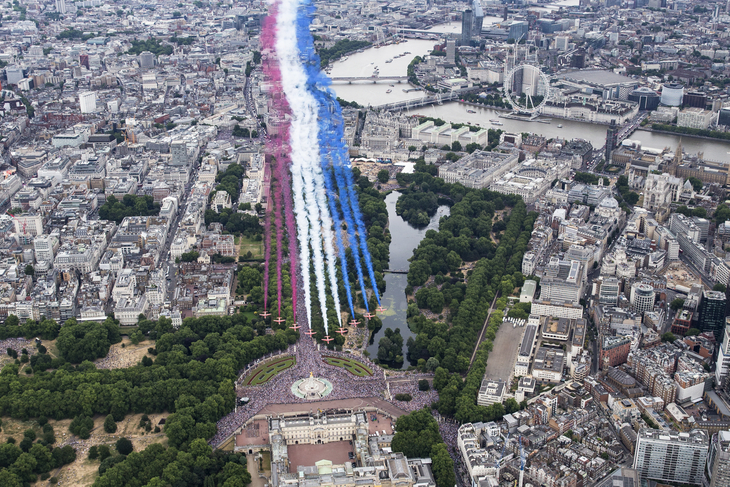 There were — you guessed it — 100 planes involved in the flypast, the highlight of which was when the planes formed '100' in the sky. 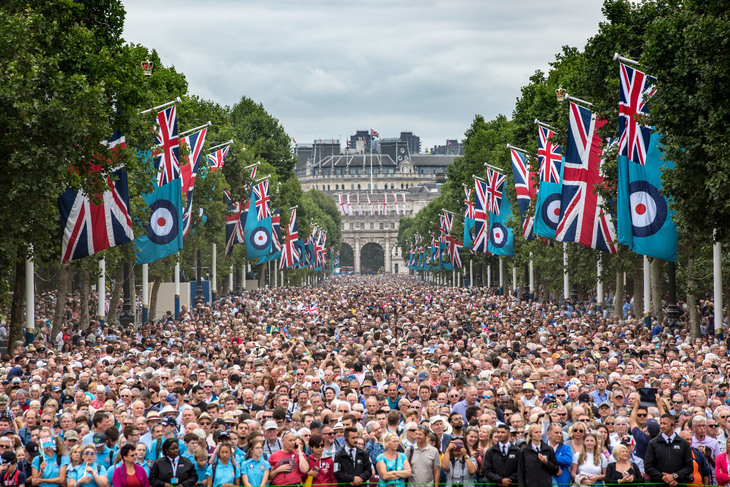 Plenty of people squished onto The Mall, to get a good view of both the action in the sky and the ceremonial parade on the ground.